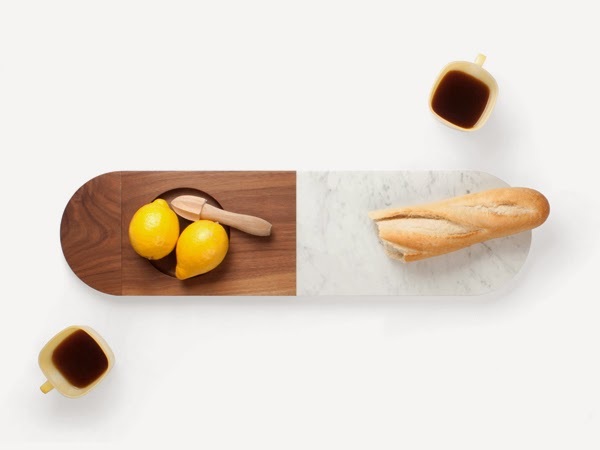 All of a Piece is a series of modular tabletop elements created through a collaboration between Netherland-based Earnest Studio and Dana Cannam Design. 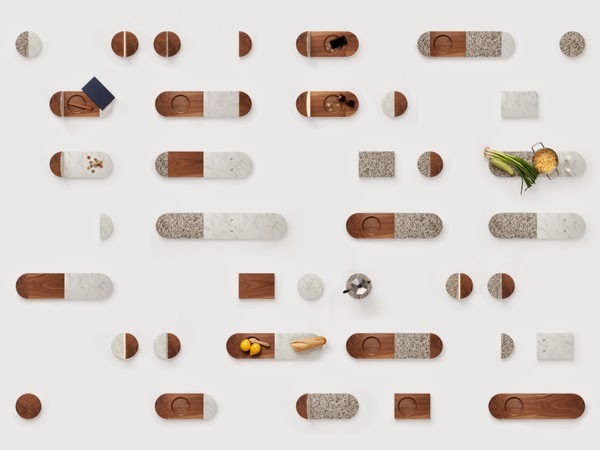 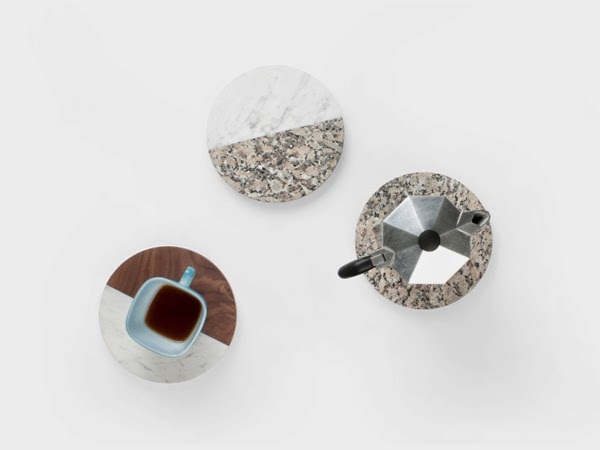 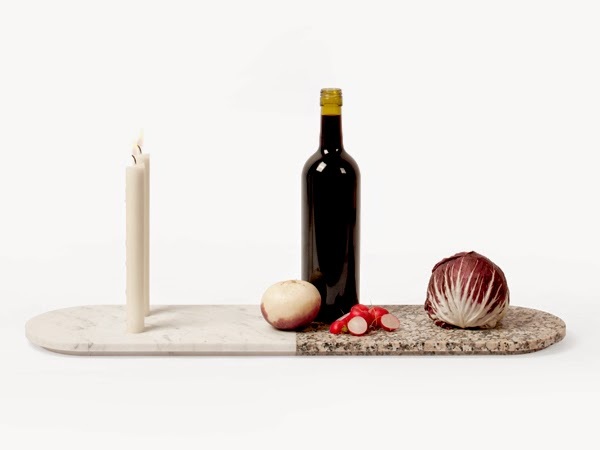 Various components in granite, marble, perspex and walnut wood are combined together with magnets to form different objects of various styles and sizes. 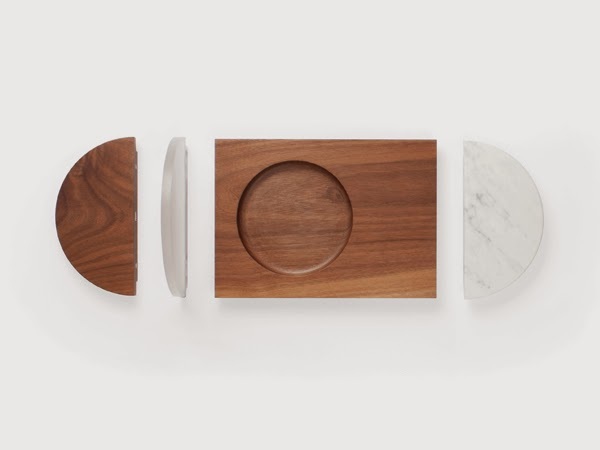 Simple geometric shapes alternatively become trays, trivets, bowls or candleholders to adapt to every need as the elegant materials are juxtaposed into contemporary compositions.